This movie was released just a little over ten years ago, to the delight of some, the disappointment of others, and the confusion of many. I won’t get too deep into my feelings on the film overall, at least not at first, because I still don’t quite know what to think about it. It presents a lot of ideas that are really fascinating or just plain neat, such as the way physical keys act as a way to access “back doors” within the computer world. It’s so stylistically overblown and needlessly convoluted that at times I half-suspect it’s deliberately satirizing itself/messing with its audience*. Similarly, depending on my mood I can’t tell if all the sequels’ endless philosophical blather is the filmmakers going over my head or or up their own butts, though I usually lean towards the latter. Still, the attempt is… admirable. Whatever The Matrix Reloaded is, it is quite definitely, for good and for ill, not The Matrix. The film’s fight scenes, though largely technically well-done and reasonably entertaining, provide one very interesting metric in this regard. Let’s get to it. Trinity, master kung fu hacker and girlfriend of the digital messiah. Played by Carrie-Ann Moss. Armed with: I do believe she’s packing some serious guns, but here she sticks with using her motorcycle helmet to devastating effect. Come to think of it, the motorcycle itself gets rather weaponized, too. Security guards, five of them. A bunch of meatheads in the wrong place on the wrong shift. Played by stunt men. The Setup: This fight and Trinity’s bad encounter with an Agent that follows are revealed to be part of a prophetic dream that Neo’s having, the meaning of which won’t be clear until later. But even though we don’t know the context, it’s clear enough that Trinity is storming whatever building this chumps are guarding, just as the opening action scene in the first movie made it clear that she was cornered and running from dangerous forces. Filmed in super slow-motion, just in case you somehow missed how COOL it was. The surviving guards come at Trinity in a rush, but she makes short work of them, using a combination of her limbs and her headgear. She does pull off a few neat moves, the first being a slow motion high flip (during which she kicks a guy while upside down), and the second being the “scorpion kick” (so called because she leans her torso so far forward her kicking loops around the back way like a scorpion’s tail) she uses as her finisher. Curiously, she only seems to hit each guy about once or twice each, and once they go down they stay down. Paying close attention to the fight you’re actually surprised to see how quickly it’s over, and in more of a “wait, she already beat them all?” sense than a “wow, look how quick she beat them!” one. The impacts aren’t sold like they should be. This will be a recurring theme for this film. Speaking of recurrence, this sequence is, as alluded to above, quite clearly intended to invite comparison to the first Matrix. They both open with a brief but attention-grabbing action sequence starring Trinity in a mysterious situation, though as noted here her role is offensive rather than defensive. Here, though, it just doesn’t carry the same weight; no one seeing this movie is a stranger to this world and we’ve seen what people like Trinity can do. Still, it’s not bad as whistle-whetters go. The pace will pick up from here, but looking back it’s easy to see the writing on the wall for how things are going to be different. Recommended Links: To be fair, here’s a thoughtful piece defending what’s good about the Matrix sequels. Coming Attractions: Neo knows even MORE kung fu! 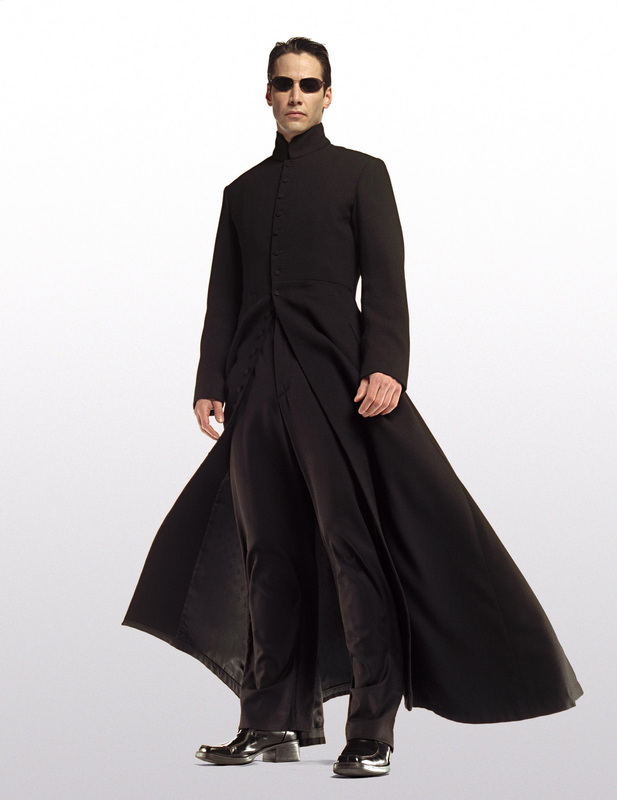 This entry was posted in Matrix Reloaded, The and tagged martial arts, melee, The Matrix Reloaded.